In 2013, a high school photo of Miss A’s Suzy and Girls Day’s Hyeri appeared on an online community board, and it became a topic of conversation online. In the photo, Suzy and Hyeri both wear the same uniform from Seoul School of Performing Arts. Fans were surprised that they are friends for a long time. Especially, the beauty and friendship attract the attention of many netizens. CT Mark, Oh My Girl Arin, and Gugudan Mina were in the same class in their second year at School School of Performing Arts. In the photo, NCT Mark is at the top left while Gugudan Mina is in the right bottom row next to Oh My Girl Arin. 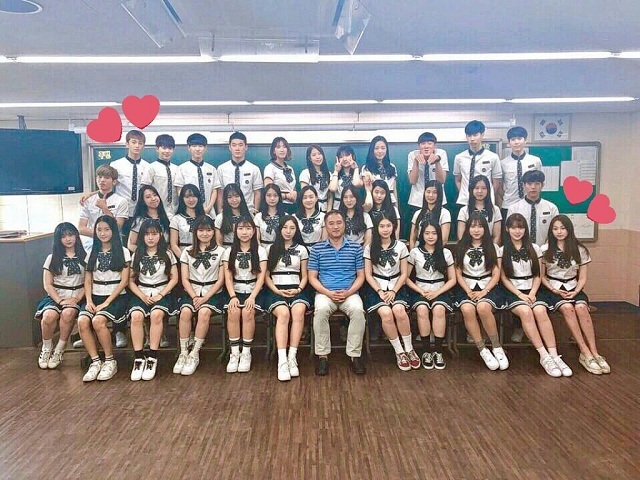 Several idols who graduated from high school include Seventeen’s DK and GFriend’s Yuju on February 4, 2016, at that time they only were known to be classmates and friends at the School of Performing Arts in Seoul.